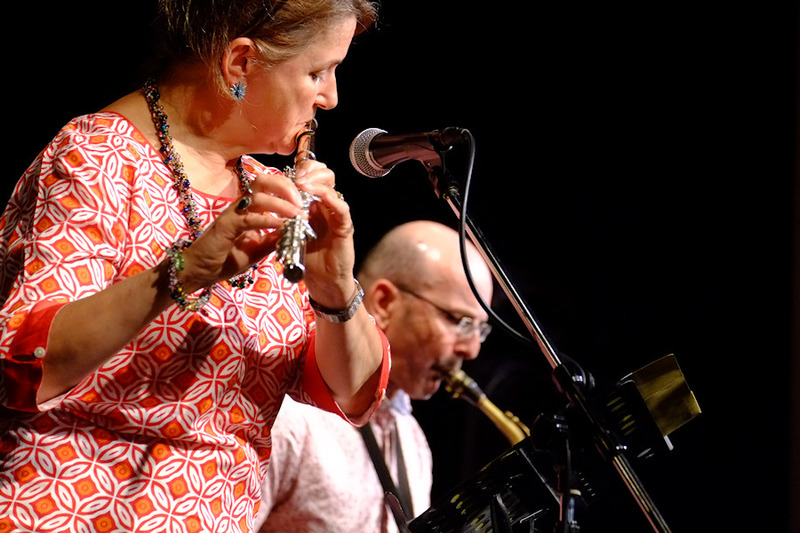 Sunday saw Newport Jazz Club play host to flautist Kate Cuzner. A Graduate of the National Youth Jazz Orchestra, her musical journey has seen her play in every imaginable situation and with diverse musical styles from the Guild of Ancient Fyfes and Drums to orchestra, pit bands, classical chamber groups, jazz quartets, big bands, jazz fusion groups and pop/rock bands. It was no surprise, therefore, when she opened her 14-number set with a homage to Charlie Parker with her rendition of The Yarbird Suite. Sharing front line duties at the concert at Newport's Apollo Theatre was jazz club favourite Tony Woods on saxophones. Back support was provided by the Phoenix Modern Jazz Trio. Switching effortlessly between flute and bass flute, Kate's performance was a masterclass in the use of the instrument as a lead. With a nice interplay from Tony, they played further homage to Charlie Parker with Anthropology as well as including several numbers written by Phoenix pianist Peter Trueman. The next concert will be on Sunday, August 10 when the club plays host to Australian vocalist Nicola Milan together with the Phoenix Quartet. Tickets are available from 730601 or Bill Wills on 523879.